The solid contribution to growth from housing construction looks to be over. Average house prices have started to fall, and the boom cities of Sydney and Melbourne are now quite weak. Banks are tightening their lending standards. Mining investment is still weak. Underlying inflation is too low, with a fall in inflationary expectations, making it harder to get wages growth up. Our political leaders seem collectively unable to undertake productivity-enhancing economic reforms. These drags are signifi cant, but there are five offsetting reasons why recession will be avoided and growth will be OK.
First, the drag from falling mining investment is nearly over. As a share of GDP, mining investment has already collapsed back to normal levels, and some miners are starting to look at new projects. Second, non-mining investment is now rising. Comparing corporate investment plans for this financial year with those made a year ago, this is the best it’s been since 2013. Third, we are seeing a boom in state infrastructure spending. Fourth, exports are likely to add to growth, thanks to the completion of resources projects and strong growth in tourism and higher education exports. Finally, the profits of listed companies are rising. This is a positive for investment. So, while housing is slowing and consumer spending is constrained, these considerations are likely to see growth of around 2.5% and 3%. However, growth is likely to remain below Reserve Bank expectations for a pick-up to 3.25%. As a result, and with wages growth and inflation likely to remain low for a while yet, we don’t expect an RBA rate hike until 2020 at the earliest. And in fact, the next move being a rate cut cannot be ruled out. There are several implications for Australian investors. 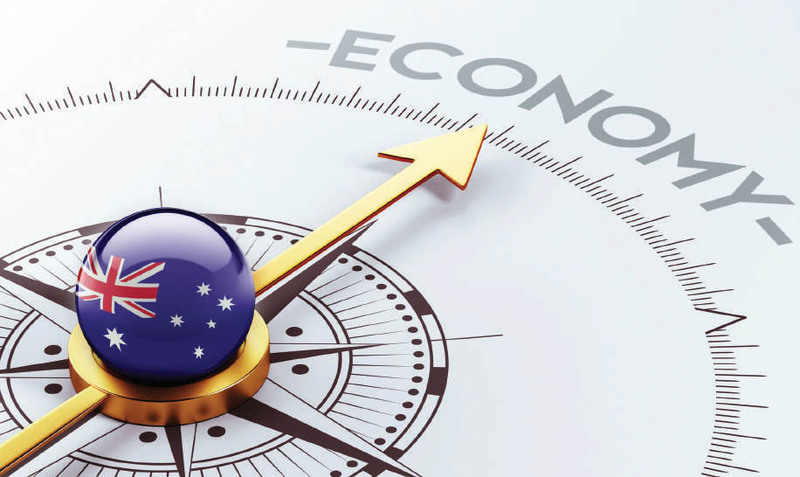 Continuing growth should provide a reasonable backdrop for Australian growth assets. But bank deposits are likely to provide poor returns for investors for a while yet. And with the RBA on hold and the US Fed raising rates, the path of least resistance for the Australian dollar remains down. For property investors, it’s a mixed bag. The boom-time cities of Sydney and Melbourne are likely to see more price declines, with top-to-bottom falls of around 15% reflecting poor affordability, rising supply, tighter bank lending standards and less investor demand. But other cities and regional centres offering decent rental yields are likely to benefit from continuing economic growth and low interest rates.